This will be my entry, for this group build and my binge build. This should be fine, right? Since it is a variant of the T-54. Yep, that's good to go! OK, so my M-41 doesn't qualify, but I've got an M-48 and two M-1s that want to get built. Lucky you that you checked it first! I plan to do a Danish UN leo 1 with a mine plough - provided it’s ok to add extras to the MBT? It certainly in as far as I'm concerned. Should be an interesting subject! A painful, expensive lesson. I've picked up a couple of models at thrift shops only to find major components missing when I got home and laid it all out. Picked up a Tamiya 1/2 motorcycle only to find out the entire bag of parts for the front wheel is missing Even the AMT M1 Abrams I snagged for this campaign is missing some small parts, 2 antenna mounts ond one of the doors for the gunner's vision port. I think I can fake both of those. I‘ve got several kits lurking in the stash that would fit the bill, so count me in! Excellent! Welcome Jerry, Ernie, and John! I’m in. 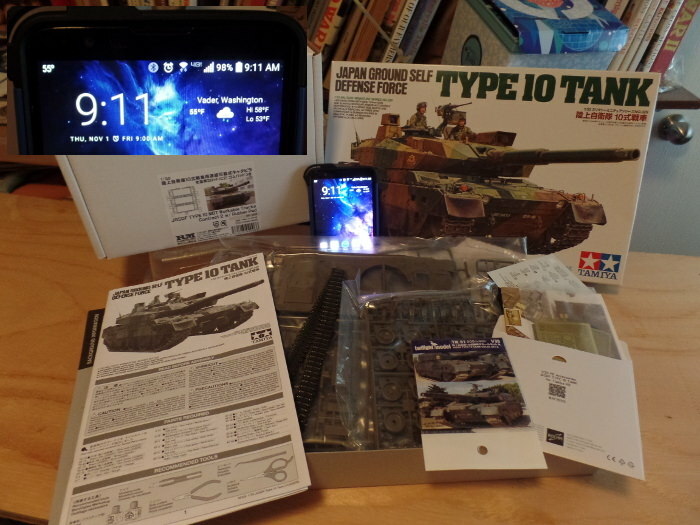 Tamiya’s M1 in 1/48th scale, most likely, or Tamiya’s Tiran 5 in 1/35th, if I get ambitious. Probably do one of my Dragon Abrams. That is the pile.... kit, track, decals and PE. Not sure where I will start first, although I do know that there are a lot of tie down loops to be replaced.... which thankfully the PE gives me, along with a tool for setting up the holes. 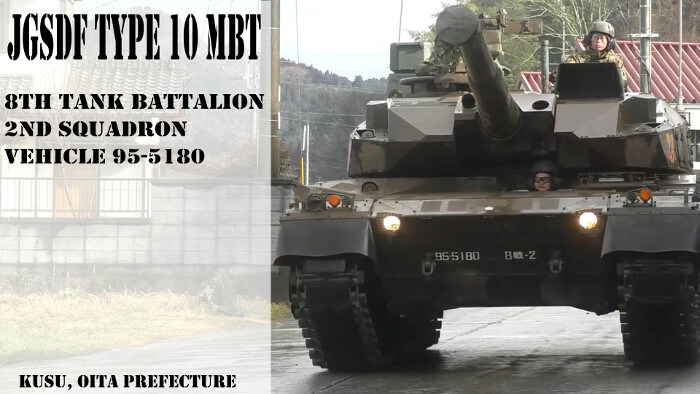 Nice choice of kit - I haven‘t seen very many Type 10 builds. And I like the slightly obsessive sleuth work tracking down your particular tank. I‘ll get my start photo up tomorrow of my T-80UD. Have fun with this campaign, everybody! I'll get in too after I finish what I'm gonna do for the Logistics World campaign starting Dec 1 and my own Combat Engineer Campaign starting Jan 1. And this one is off and running. Welcome, everyone! I'm going to have to delay my start a bit to clear things off my bench as well. As one of the projects I'm finishing up is the Takom Merkava Mk.1, I'm not sure I want to do another one right away. If I do it'll likely be the Meng Mk.3D or Mk.4. I'm also eyeing the Dragon M48A2/Magach 2 or the AFV M60A1. Choices, choices! I have built the Dragon M48A2 and really enjoyed it. Went together well but watch those tracks if you are using them. The DS tracks disintegrated on me. Disintegrated?! Yipes! Any idea what happened? Here's my entry Takom's M160A1 with ERA from Desert Storm in 1991. Tank will be painted in MERDC Desert Gray camouflage with sand ERA panels. Btw. It would be good to change the topic header from "proposal" to "official"
No idea. Went to use my Tamiya extra thin as I have done on other DS tracks and where it touched just ate through and dissolved the track. Not sure if it was a bad batch or what? I've signed up and i have a Tamiya Challenger 1 mk3 to build but i need to clear some of the other kits out of the way first so i wont be starting until later on, possibly after Christmas. See your thread on the problem. I've posted a long but hopefully helpful answer.